After " Dear Pat Cooper,"
It took the release of my book to finally get my father’s attention. Oh, let me correct myself! I never really heard from my father directly, but actually got a call from one of his minions. He had sent him out and about to try and retrieve early treasured photographs of his mother and father and earlier pictures of himself before he became famous. My father’s agent/co-writer called me and explained that my father was writing a book and wanted some pictures. This was not the first time my father tried to obtain pictures from our family and me. In fact, year’s prior he even offered money to one of my cousins for a handful of them. As soon as I answered the phone I became suspect. I knew from past experience that my father’s intentions concerning the photographs were self-serving and not good. Why would my father want these treasured early photographs of our family when for fifty years he didn’t want anything to do with any one of us? My immediate response to my father’s co-writer was a big fat NO! I told him that if my father were present throughout the years he would have his own pictures of us. I went on to say that my pictures were not for sale, never were, nor would I ever part with even one of them. There was a silence on the other end of the phone and that’s when I realized my father’s minion hung up on me. For the next couple of weeks, he tried with other family members and got the same response that he got from me. 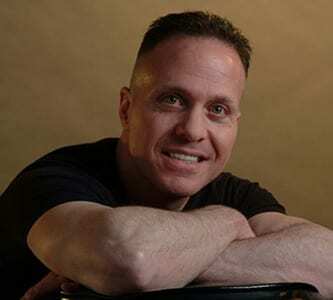 A few months later Pat Cooper’s book was published without the Caputo family photographs that he so desperately wanted. I am quite saddened and find it pathetic how my father spoke about us every time in his comedy routine, on his albums, on all radio and television appearances, then ironically didn’t even have a picture of any one of us. I am quite certain that he has plenty of pictures of his newly created “Cooper” family displayed around his home or in a photo album somewhere. Why wouldn’t my father use those family photographs of that new family he created back in 1970? Why wouldn’t he use those pictures being that he considered them and always reminded me that they were more of a family to him than we ever were? I gladly would have given my father all the pictures he wanted if he would have called me himself and given me his word that his intentions were sincere and coming from a place of love for our family. My father had two families that loved him. He could have celebrated both of them; instead he chose to celebrate none. What an injustice to his legacy, his book, and his soul. In August of 2014, I updated and renovated this website. Soon after, I reached out to my father through the suggestion and help of one of his supposed close friends. But when he approached my father about us getting together and reconciling, my father declined. He said that too much time had passed between us (an excuse he had used a dozen times before) and when he sees me it would only bring back too many bad memories from the past. I admit that I was hurt but not at all surprised. Pat Cooper had slammed the door shut on me once again. I am a fatherless son and have been chasing my father for more than fifty years. Rejection is most painful when it comes from a parent. Unconditional love, I’ve learned, should never be taken for granted. I love my father, unconditionally, and always will. All I ever wanted from him was to be acknowledged and loved back. 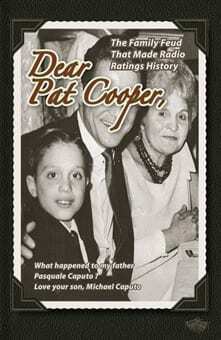 Dear Pat Cooper written by Michael Caputo, Published by Cody Boy Books, Copyright ©2006. All Rights Reserved. and or Cody Boy Books is in direct violation of United States and International Copyright and Trademark Law and is prohibited. Copyright © 2006, Dear Pat Cooper. All Rights Reserved.